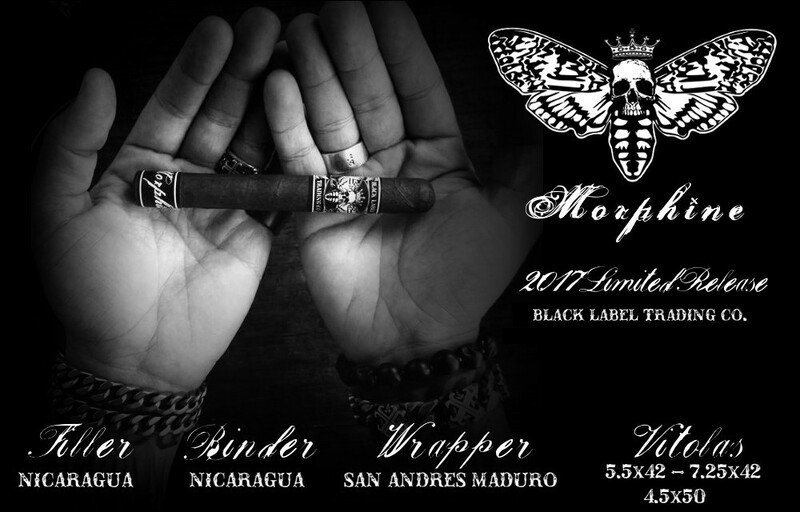 June 6, 2017 — Black Label Trading Company is pleased to announce the fourth release of MORPHINE: Hand crafted in Esteli, Nicaragua at Fabrica Oveja Negra. Black Label Trading Co. first released MORPHINE in June, 2014 as its first Limited Release. MORPHINE is produced by BLTC’s own factory, Fabrica Oveja Negra in Esteli. 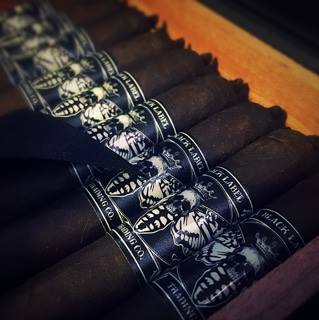 “Since this is our 4th Vintage of Morphine, I decided to pick my favorite vitolas from the last three years. From the original 2014 release, I chose the Corona. From 2015, the short Robusto and from 2016, the Lancero. I think the quality of tobacco in this years production speaks for itself. The 2017 vintage is extremely rich and complex. It’s bold, full bodied and incredibly balanced. The depth and complexity of flavors that come through make it a very special blend.” Said James Brown. MORPHINE cigars will be available in limited quantities at select BLTC retailers June 16, 2017.